The Royal Guest House is the one of the most charming and inexpensive guest houses in Chiang Mai. 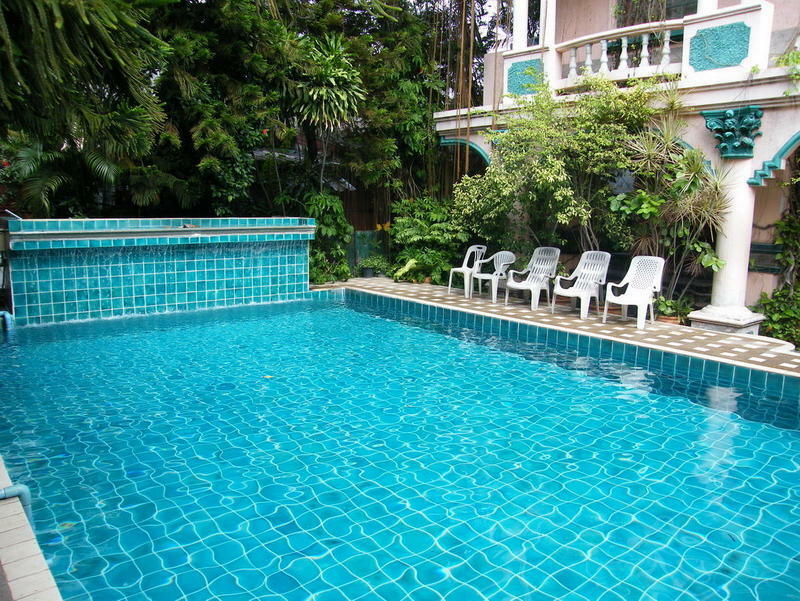 We are located in a tropical garden setting and close to the Night Bazaaz (the well known Chiang Mai shopping area) that is just 5 minutes walk. The International airport, railway station and bus depot are all within 15 minute TukTuk or Song Thaews (local taxis) ride, and they are easily hailed from the Guest House. Our rooms are air-condition or fan, with private hot and cold shower. We also offer you a comprehensive and varied choice of activities such as Trekking and Rafting. Come and see it for yourself! From Chiang mai train station, ride the 'red taxi' to kho-Tha- Sarn rd, soi 4, near the petrol station close to DK bookstore. You will see a bright orange building with a big sign of ' The royal guest house' , that is us! Please contact us is you need more information.